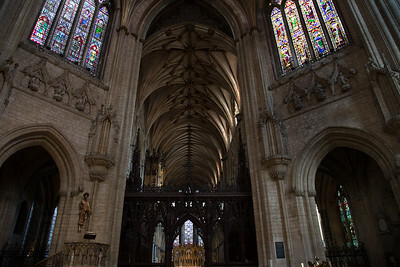 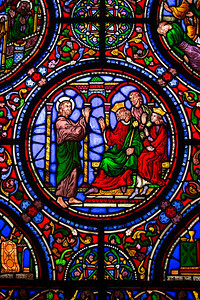 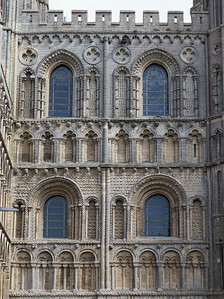 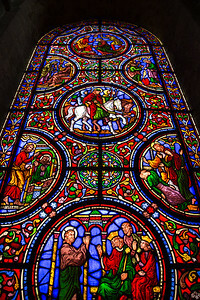 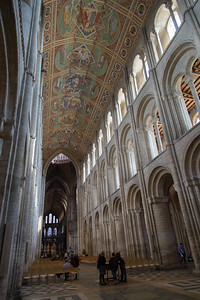 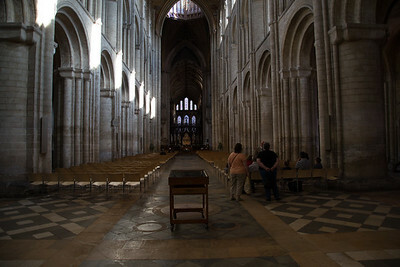 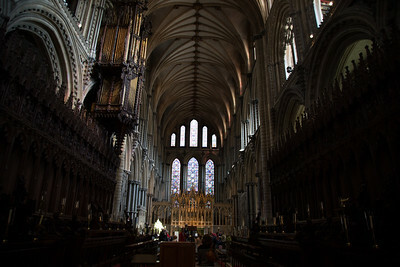 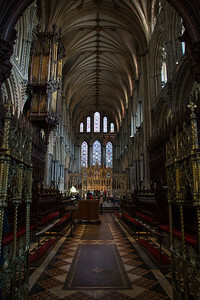 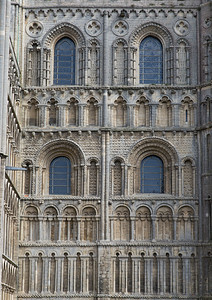 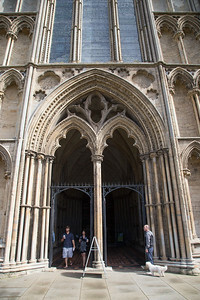 Ely Cathedral is one of the most remarkable church buildings in the world. 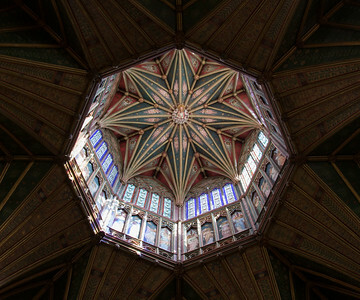 Its fame comes from its extraordinary central structure: a tower called The Lantern, located above the eight-sided fan-vaulted ceiling of the crossing, The Octagon. 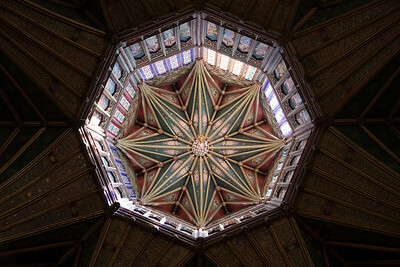 The Octagon and Lantern were built of wood in the early 1300s--wood which is still holding up just fine today, approximately 680 years later (see the photo of the structural model). 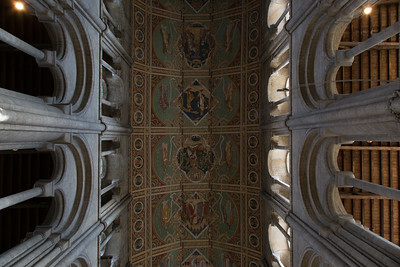 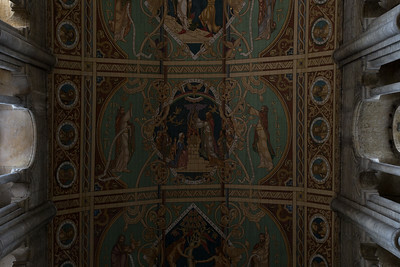 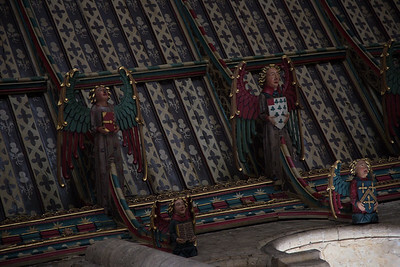 The Octagon and Lantern were repainted in the 1800s, at the same time that nave ceiling was decorated with the work of Le Strange and Thomas Gambier Parry (father of Sir Hubert Parry, the great composer). 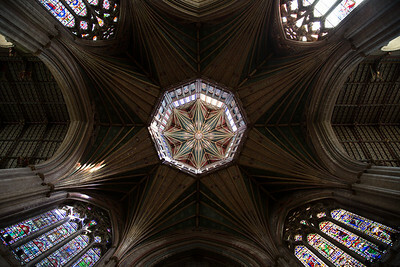 During this visit, I had the chance to go up in the Lantern tower and onto its roof, with a number of unique interesting views both inside and outside. 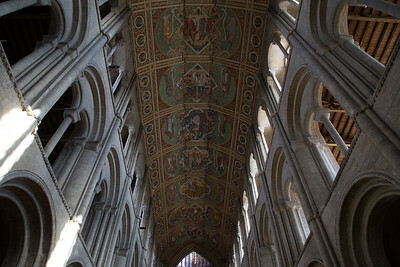 Ely Cathedral. 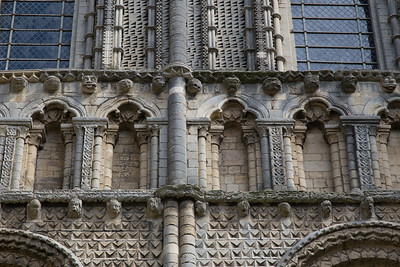 Gargoyles on west facade. 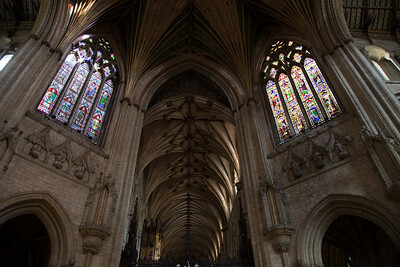 Ely Cathedral. 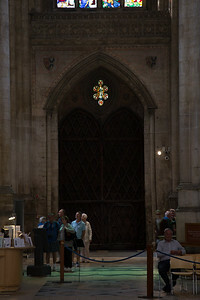 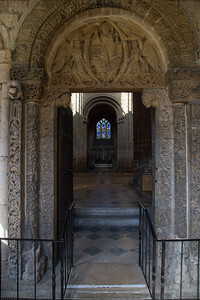 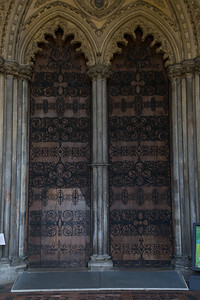 Prior's Door, connecting to the cloister, with carvings dating to 1135. 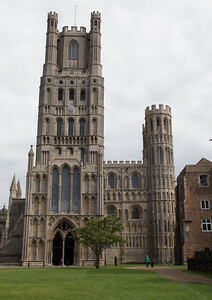 Ely Cathedral. 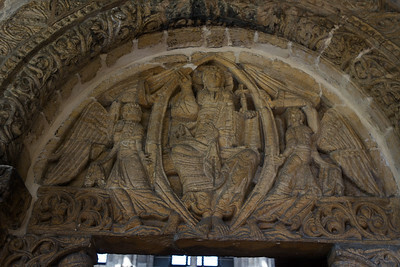 Carving of Christ in Majesty above the Prior's Door, dated to 1135. 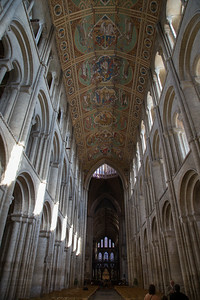 Ely Cathedral. 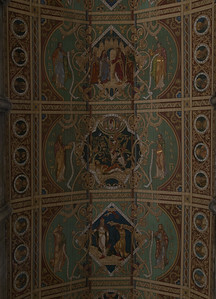 Ceiling painted by Le Strange and Parry. 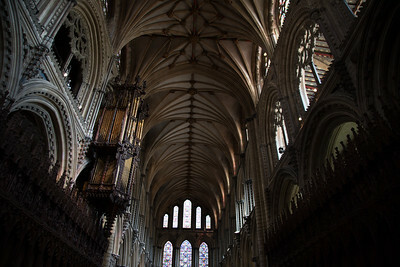 Ely Cathedral. 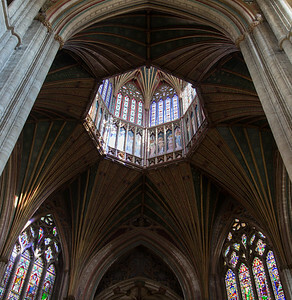 Octagon and Lantern above, looking into the east end below. 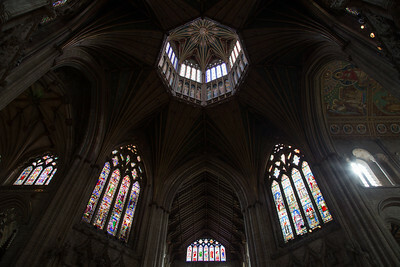 Ely Cathedral. 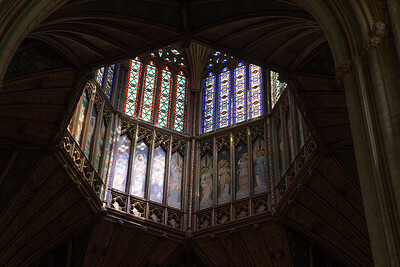 Octagon and Lantern. 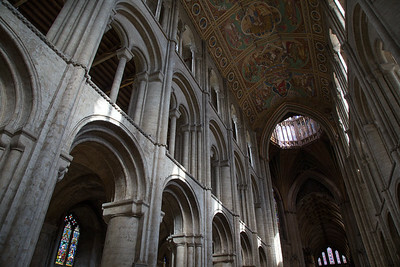 Ely Cathedral. 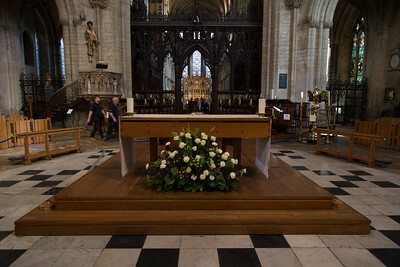 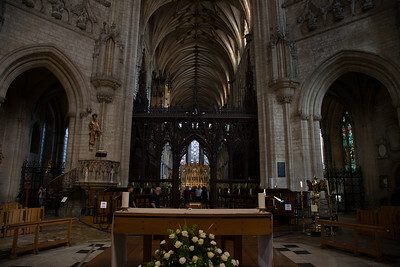 Nave altar in the crossing. 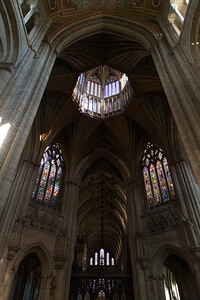 Ely Cathedral. 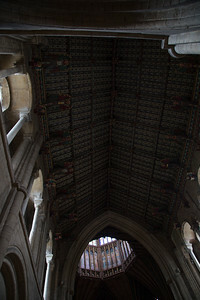 The crossing, looking towards the east end. 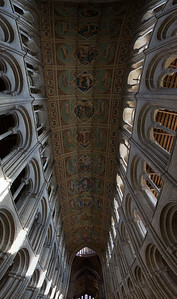 Ely Cathedral. 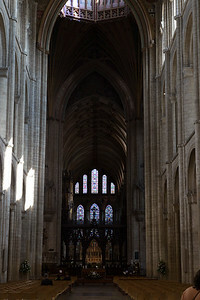 Quire and east end. 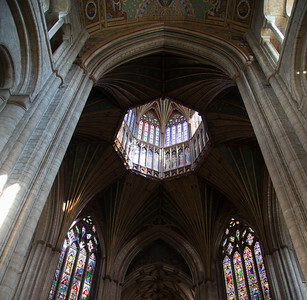 Ely Cathedral. 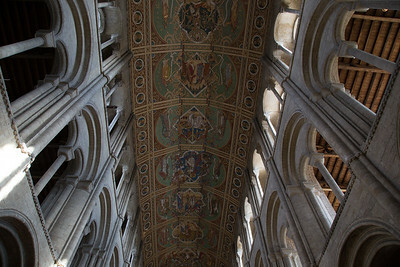 Looking up from the north transcept towards the south transcept. 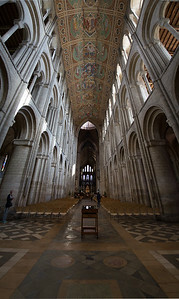 Ely Cathedral. 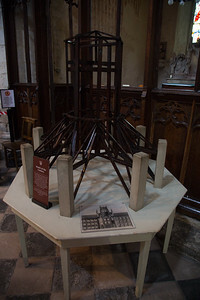 Model of the Lantern, showing how it was built with giant wood beams suspended between the eight stone columns of the Octagon. 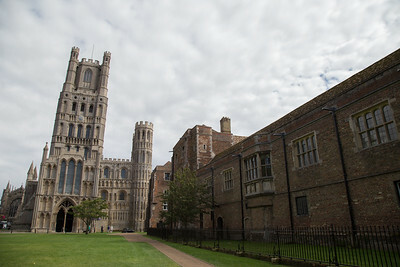 Ely Cathedral. 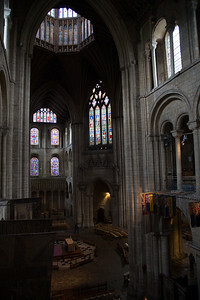 View from the triforium of the north transcept. 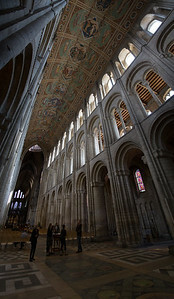 Ely Cathedral. 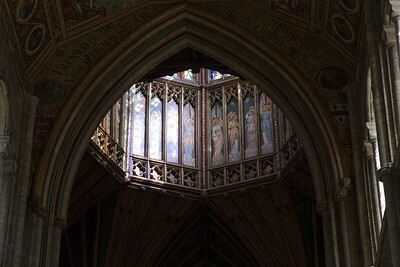 Detail of window at the triforium level, north transcept. 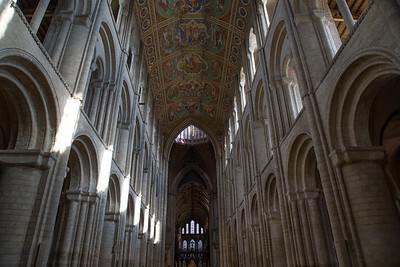 Ely Cathedral. 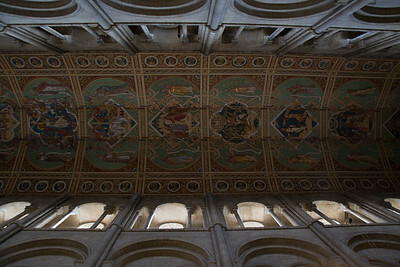 Ceiling of north transcept.